Until I resign on June 30 2019, I teach at the Algonquin College of Applied Arts and Technology in Ottawa, Ontario, Canada. Use the Biography link on the left for more information. I also rarely give Linux talks at the local Ottawa Canada GNU/Linux User Group (OCLUG). The historical and current list of all my Algonquin courses is listed below. 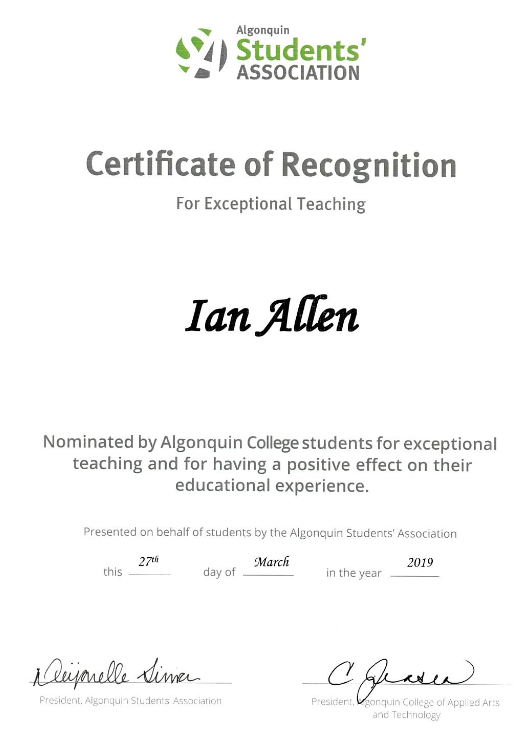 Winter 2019 is the last term of teaching at Algonquin College for Ian! 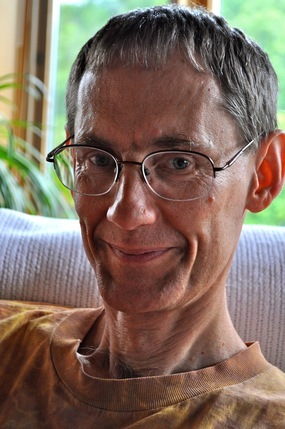 D. Allen. To avoid having to teach night courses at Algonquin College, Ian had to resign as professor, effective June 30 2019. During Winter 2019 I will be teaching one first-term introduction to GNU/Linux course (CST8207) with about 100 students. I will also be the lab prof for two second-term GNU/Linux CST8177 labs. The list of all my courses is below. I resign from teaching at Algonquin College on June 30 2019. I've been using EMail since 1976 and Internet since about 1982. The best way to contact me is by my home email idallen@idallen.ca. You can also try to send to my Microsoft/College address alleni@algonquincollege.com, but that address is filtered and may lose your email. Don't use it. Remember to add both my email addresses to your address book and EMail White List so that you receive my replies. Want to hire an Algonquin Student? Thank you for your interest in employing an Algonquin student. The best approach to your request is to register as an employer and post your job on The Employment Support Centre. The posting should contain info such as background info about the project, and what you're looking for – not just skills but also employment conditions (rates, dates, etc.) and how students can apply. Here are the basic things you must know to get credit in the courses that I teach. Make sure you are registered in my course. I get your name and EMail address directly from the registration records. You must have a working Algonquin EMail address. Make sure your Algonquin EMail is correctly forwarded to an EMail account that you read regularly. To learn how to forward your Algonquin Email, visit the Algonquin College ITS support site. Know how to spell your name the same way as you are registered. On mark-sense forms, the computer matches the name you give me against the name you used when you registered with Algonquin. If you want your marks credited to you, the names must match exactly. You can test your name before a test using the Algonquin Registered Name Game. Keep up-to-date with the course Web pages. Read the course Announcements regularly. Avoid Plagiarism and Academic Fraud. My courses are Internet-friendly and are not password-protected for reading. You can see the course notes from anywhere in the world that has an Internet connection. The notes will not disappear after the term ends or after you graduate. Select the course number to go to the Home Page for that course.